With a wide assortment of objects, technical jargon, and capabilities, it can be hard to pinpoint what makes a great synthesizer. It can be hard to distinguish whether a module will maintain the ability to act as a reliable MIDI device while maintaining a great synthesizer sound. With new technologies being released every day, differentiating between value and worthless accessories will become a demanding task. Versatility, durability, and ability to save and edit patches easily and on-the-fly. Produce your sounds from an analog and digital perspective to create an expansive library of cutting-edge sounds. I am currently studying to receive a bachelor’s of science in both Audio Technology and Computer Science at American University in Washington D.C. I currently work on creating audio digital signal processing software, the program that creates, combines, and outputs a synthesizer’s sound. My mentor has vast knowledge and experience within the digital and analog music community. I recently helped him complete an experiment that involved sound generation based on position. Lastly, I have extensive experience working, playing, and recording with analog and digital synthesizers alike. I have personally used a Nord Lead A1 in a studio session as well as a wide assortment of other great analog modules. What Makes a Great Synth? The quality of a synth relies heavily upon the components within the synthesizer. Arguably the most vital component of a synth will be the onboard oscillators. If a synth is built with the greatest, most advanced parts, filters, and routing points but fails to produce a high-quality oscillator, any potential has been completely lost. A great synth will reproduce digital and analog waves without a diminishing quality of sound when producing either waveform. What Are the Advantages of Owning a Synth? Almost every aspect of music has been modified by the ability to synthesize our own sounds. If you consider yourself a relatively serious musician, understanding how to create your own soundscape is vital. When you have mastered a synth with relatively minimal power, you have the ability to create sounds that liven up your music, distinguish yourself from other musicians, and create new genres. A synth will also give you a medium to learn more about the electrical engineering aspects of musical recreation. Through experimentation, you will learn how low pass filters, voltage controlled oscillators, and signal flow will affect and modify a given waveform. As previously stated, the first component you should review is analog and digital recreation of a waveform. An analog waveform should sound vintage — much like a sound that would be present in a classic ’80s pop hit. On the other hand, a digital waveform should be very clean and well-defined. What If This Synth Doesn’t Have Both Settings? Some of the best synths do not incorporate both wave patterns. However, many good contemporary machines will maintain the option for both settings. As a rule of thumb, if a synth does not offer both settings and was created after 2014, consider the synth to be a “beginner” synth. 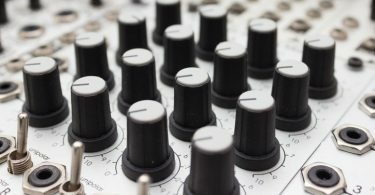 Many of the highest quality synths (before 2014) will be strictly analog because the technology relied heavily on circuit components to process and create the audio signal. Which Type Of Synth is Right For You? Strictly looking at valuation by price, analog synthesizers are created for experts while digital synthesizers are created for beginners. You may discern which type of processor is correct for you. In terms of learning and understanding architecture, learning on a digital system is much easier. When you are learning on a digital medium, you do not have to worry about components overheating, you can be relatively clumsy and your synth will not break, and you do not have to completely rely on patch cables. While you do not have to deal with component failures, you still have the ability to learn how to route, modulate, and design your own signals. There are many resources to hook up to your computer and play on your own custom interfaces. A digital synth will give you the chance to truly “just play.” You do not have to focus on anything except experimentation and pressing keys. Choosing an analog synth as your first synth is usually ill-advised as they tend to need more maintenance after a couple years of use. 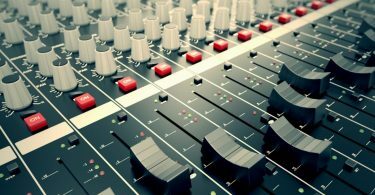 However, it is argued that the analog sound is much better, warmer, and more pleasant. This comes with the need to ensure the safety, cooling, and maintenance of your system. The problem with many analog systems is their tendency to overheat as you become more involved with the module. An analog console follows the “what you see is what you get” method. The largest modification you can do to an analog-based synthesizer is add on more modules. You no longer have the ability to hook up to your computer to modify your sounds, nor create extended patch capabilities when you truly understand the system. Many people (I am guilty too) will purchase a module without fully understand the accessibility, offerings, and specifications. Before you purchase any synthesizer, you must understand what type of instrument you need. A synthesizer module is usually a single part of a system. Thus far, I have been describing all-in-one synths: a synthesizer that contains every part at the moment of purchase. A modular synth will have each part of its body sold separately. Because of this, a modular synth will be sold in the following parts: an oscillator (or oscillator system, synths usually have at least two oscillators), a routing system, a modification system, a modulation system, a control system (usually a keyboard), and an effects rack. 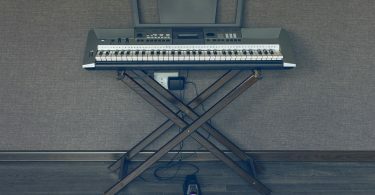 The majority of contemporary synths are controlled by keyboards. As stated above, this is not always the case since these systems can be created from scratch (or on your computer). When you deal with monophonic synths, you are dealing with a system that can only play one tone at a time. 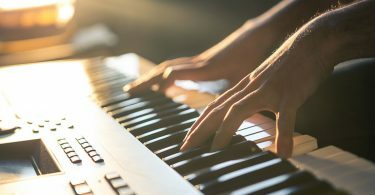 If you have a keyboard-controlled system, you will only have the ability to control the sound one key at a time. A polyphonic system is the opposite. While there are some synths that allow triple-polyphony (only three keys engaged at once), many manufacturers will give the user the ability to choose the setting or engage fully polyphonic power by default. Software synths are virtual programs used to digitally manipulate, process, and create audio. Hardware synths are the tangible form that we visualize when we think of a synthesizer. How Should I Use A Synthesizer? Acquiring the synth is the hard part of this process. The moment you have everything hooked up, you are only as limited as your imagination. If you would like to learn about circuitry, it is possible to look inside a synthesizer. If you want to create esoteric sounds, you have found the right machine. 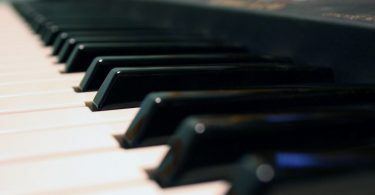 If you want to expand your knowledge of music theory, you have a piano. As stated, the possibilities are as limited as you want them to be. With the wide assortment of possibilities, necessities, and functions, the best synth on the market is the Nord Lead A1. With a five-star rating on Amazon and eBay, and four and a half stars on Sweetwater, this synthesizer is the best overall synthesizer on the market. The Lead A1 was picked due to its versatility, durability, features and ability to save and edit patches easily and on-the-fly. However, it particularly shines when you dive deeper into the hardware. With all these features, one can only assume that this is the perfect synthesizer. Unfortunately, this is not the case. This synth will be the best bang for your buck in comparison to anything on the market. With a price tag ranging from $1,475 (eBay) to $1,799 (Amazon), the Lead A1 is an intermediately priced synth that can last you the rest of your life. The ability to produce your sounds from an analog and digital perspective will provide an endless opportunity to create an expansive library of cutting-edge and interesting sounds. However, be aware of the limitations brought on by the restricted interface of the Lead A1. If you want the opportunity to patch your synth, modify the signal flow, and expand its modularity, this synth is not for you. Alternatively, there are many synths offered in a lower price range (with lower quality sound) that grant this ability. There is a wide collection of synthesizers available to the world and to be completely honest, there is no ultimate synth. Instead, having a wide variety of modules, hardware, and software will give you the greatest experience when synthesizing your own sounds. The following synthesizers are a few you should consider when making your decision. 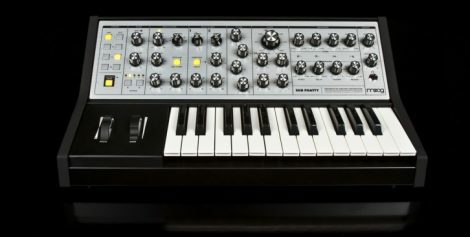 If you want a great quality portable synth that is in close competition with the Lead A1, check out the Moog Sub Phatty. The Moog company was the first company to introduce a keyboard based synthesizer in 1967 to great success. 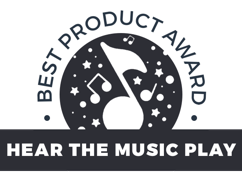 To this day, the company continues to produce top-of-the-line hardware that continues to be utilized at all levels of the music industry. The Moog is a great alternative to a Lead A1 and tends to be within a $600-$1,000 price range. The Nord Lead 4 can be considered the “original” Nord Lead A1. The subtractive synth is the gold standard for live performances. Korg is one of the largest producers on commercial synthesizers in the world. The Korg MS20 Mini can also be considered one of the greatest achievements in the music world due to the compact power it offers. If you want to understand the complexity, feel, and power of patching your own synths, this will be the cheapest, most reliable synthesizer for your money. This is an unconventional synthesizer. In fact, it is a synth you create yourself. Pure data is a graphical programming language that is designed to enable you to learn and achieve a variety of tasks. You can create your own synthesizer, you can create a drum machine, the possibilities are endless. The world of synthesizers is ever expanding. The bottom line is that there is no one perfect synth. 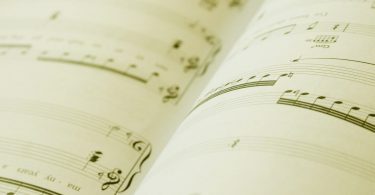 Usually, musicians will collect different modules throughout their lifetime. In the end, we will always need just one more synthesizer. However, if you’re working on acquiring your first one, consider one of these options!